In October 2014, the liberation of Aachen has its 70th anniversary. On October 21, 1944 the first major German city surrendered in World War II. The end of the war in the West began. 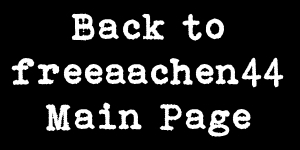 Since spring 2014 texts, contemporary witness reports, historical sources, maps and pictures are compiled on this page to commemorate 70 years of peace and liberty in Aachen. This non-commercial project is realized by Dr. Peter M. Quadflieg, Research Assistant at the Research Group for Economic, Social and Technology History, RWTH Aachen University and Dr. René Rohrkamp, senior assistant at the State Archives in Eupen (Belgium). The project is financially supported by the Community Foundation “Lebensraum Aachen”. You can find links to the articles on our German page. The End of War: There is Not Just One History, Aachener Nachrichten, 06-12-2014. Community Foundation “Lebensraum”: The Future Impact of Historic Moments, Aachener Zeitung, 06-05-2014. Community Foundation “Lebensraum”: “70 Years of Peace and Liberty in Aachen”, Aachener Nachrichten, 04-02-2014. Bunker Will Be Demolished, Memories Come Alive, Aachener Zeitung, 01-14-2014. Community Foundation Commemorates 70 Years of Peace, Aachener Nachrichten, 01-14-2014.